A special, one-story Valentine's Day issue of the Nooze. Because what says love better than flying squirrels and climate change? 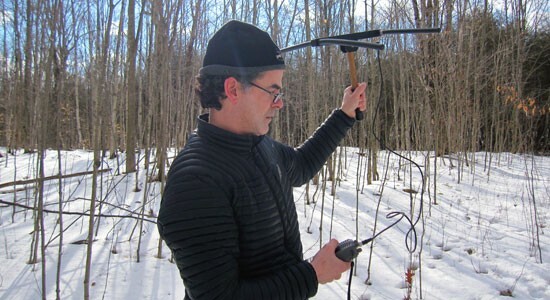 BOBCAYGEON, Ontario – In the hush of a snowy Ontario winter woods Jeff Bowman's radio wave tracker beeps insistently, pointing him toward a nearby tree cavity. 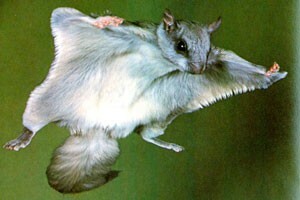 Inside, a group of tagged flying squirrels huddle in the comfort of each other's body heat. In a few weeks, the rodents – which glide from tree to tree using flaps of skin between their front and rear legs – will begin to mate. Some of their babies will emerge looking a bit like a southern flying squirrel, a bit like a northern flying squirrel, and a lot like the product of climate change, says Bowman, a population ecologist with the Ontario Ministry of Natural Resources... Read more.